Suncorp Bank is a provider of credit cards, banking accounts, investment products, home loans, home and contents insurance, car insurance, life insurance, and travel insurance. If you’re considering an Suncorp card, check out what’s available below in our comparison table based on a monthly spend of $1,000. Please note that this table has been sorted by purchase rate (lowest to highest). Contactless payments: Contactless payments are enabled via card with Visa payWave or mobile banking app on smartphone. 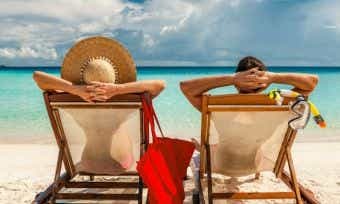 Emergency travel assistance: Worldwide emergency card replacement available at no cost, plus other emergency travel assistance. Insurance (optional): Optional credit card insurance with Credit Guard. BillSplitter function on the mobile banking app: Split a bill and send automatic reminders for payment. Rewards program: Earn Reward points for money spent using the card. Security: Card is protected by Fraudshield and Visa Zero Liability. For more information on eligibility requirements, refer to the Suncorp website. First, check whether you are eligible to apply for a Suncorp credit card. See above for the eligibility requirements. If you meet the eligibility requirements, you can apply online, in-store at a branch, or by calling 13 11 75 (open 24/7) – it takes less than 10 minutes to apply, according to Suncorp Bank. Have your ID and income details handy and check our list of documentation you may need when applying for a credit card. In some cases, an instant response cannot be made and you will need to provide further information before the card can be approved; in this case, the card provider will contact you. You can check your application status at any time by calling 13 11 75 (open 24/7). When will I get my Suncorp credit card? Your official card will take approximately 5-7 working days to arrive after your card is approved (Suncorp Bank). You will have to activate the card when it arrives before you are able to use that card, by calling the number on your Welcome Pack or by calling 13 11 75 (open 24/7). How do I manage my Suncorp credit card through online banking? You can manage your Suncorp credit card through online banking using the Suncorp Internet Banking website or their mobile banking app. Use online banking to do things like view your recent transaction history, view your balance, and more. How is interest calculated on my Suncorp credit card? Interest is charged when you carry a balance on your Suncorp credit card, including balance transfers. Interest is charged on cash advances from the date of withdrawal (fees and charges apply) and balance transfers from the date of transfer. Interest is charged on all purchases using the Suncorp Standard credit card (Low Rate card) from the day of the purchase. Up to 55 interest-free days apply to the Platinum and Gold Suncorp credit cards. Interest-free days only apply to purchases if you have paid the balance in full for the previous month’s statement and for the current month’s statement (the statement on which the purchases are listed). 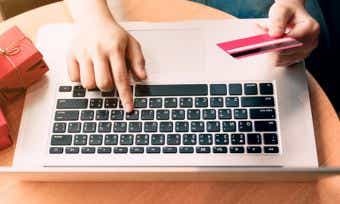 What will my credit limit be on my Suncorp credit card? Your credit limit for a Suncorp credit card will be determined based on the information you provide in your application, keeping in mind the minimum and maximum credit limits available for each card. Find out more about how credit limits are determined here. 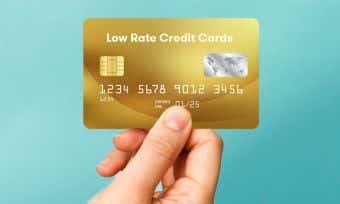 You can request an increase in credit limit after 9 months of holding the card. How do I close my Suncorp credit card account? Suncorp Bank supports the community in a big way when it comes to health and fitness, promoting sun safety in the community since 2004 through their SunWise program. They also proudly sponsor the 5km parkrun every Saturday around the country, and the runPositive community at major marathon events. Suncorp also sponsors the Blackmores Sydney Running Festival, Gold Coast Airport Marathon, and the Sunday Mail Suncorp Bank Bridge to Brisbane. They even support Youngcare so young people with a disability can have a fulfilling life with other young people in age-appropriate care.